My kids LOVE lollipops! I love lollipops, too! I figure they are some sort of secret weapon for managing kids in line-ups and waiting rooms. Allan Vertlieb started making lollipops in his kitchen and then sold them out of his home like it was a candy store. All it takes is heating up a syrup to 146-150C (295-300F) so that 99% of the liquid is removed. Yes, I said 150C! Body temperature is 37C, and room temperature is 22C (or 18C if you have to pay for the hydro). That is super hot syrup! The result is a lovely almost pure sugar in a beautiful clear solution that is perfect for lollipops! This was back in 1931, when Allan Vertlieb founded The Allan Candy Company Limited, in my hometown of Hamilton, Ontario. I like to remind people that not just steel is made in Hamilton, since the best Easter and Christmas candies are made there, too. More candy canes are made by Allan Candy than any other candy company in Canada! In fact, they have even been nicknamed “The Easter Bunny Company”. I’m sure you’ve heard of something that Allan Candy makes. You’ve probably seen them all at better local candy stores. There’s Big Foot, Sour Grape Slices, Hot Lips, Say Bon, Sour Blue Raspberries, Allan Candy Canes, Mr. Solid Easter Bunny, Eggztra, Sour Cherry Slices, plus the Allan Candy’s Bulk, Pick a Treat and Pick & Mix assortments of sugary confectioneries in soft toffee and hard candy. If you didn’t recognize the name, you would recognize the candy! How about Sour Patch Kids? The latest products they have released are called “Dessert Bites”. These come as a response to a decline in the sales of candy recently. (Say what???) A combination of a declining birth rate (so there are fewer kids, it is not your imagination), and a general shift toward healthier snack choices has created the need for these new Dessert Bites. The Dessert Bites are offering lower calories and fat than other chocolate bars but are still amazingly delicious. They naturally support portion control and often have more natural ingredients. Sugar confectionery sales might be going down, but the chocolate confection sector is growing for the entire candy industry, as well as for Allan Candy. Chocolate is projected to continue to grow by 2% a year. Now, that makes perfect sense to me. 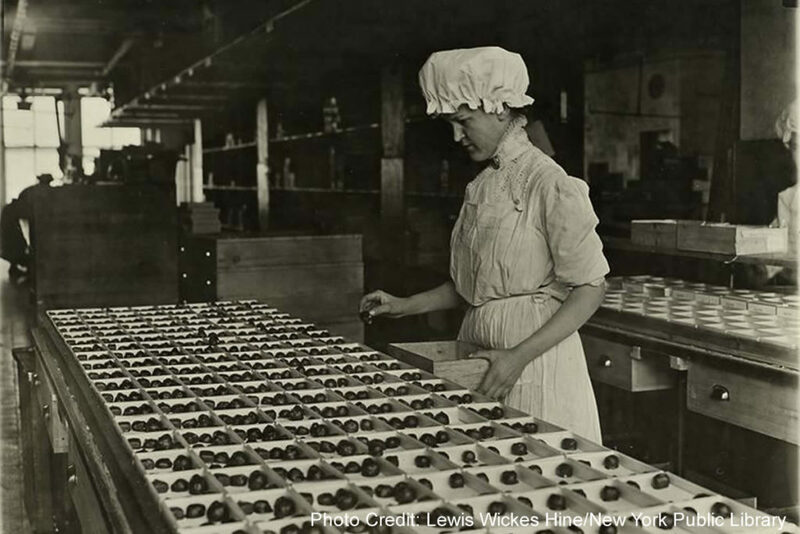 In 2014, Hershey, the Pennsylvania chocolate company, completed their purchase of The Allan Candy Company. The acquisition of the iconic Canadian candy manufacturer built on The Hershey Company’s long-term presence in Canada, and their commitment to our Canadian candy market. The market is still changing rapidly, and Canadians are seeking healthier options for our indulgences. Hershey and Allan Candy are responding with delicious options. Together they are founded on their longstanding successful histories of providing candy in Canada, a huge line of products, and cool options for clients to order specially made candies. Allan Candy joins the list of legendary Canadian candy companies.